The US National Security Agency, planned to hijack millions of Android smartphones with spyware. The project, published Wednesday by Canada's CBC News, sought to exploit the smartphone operating system for surveillance. 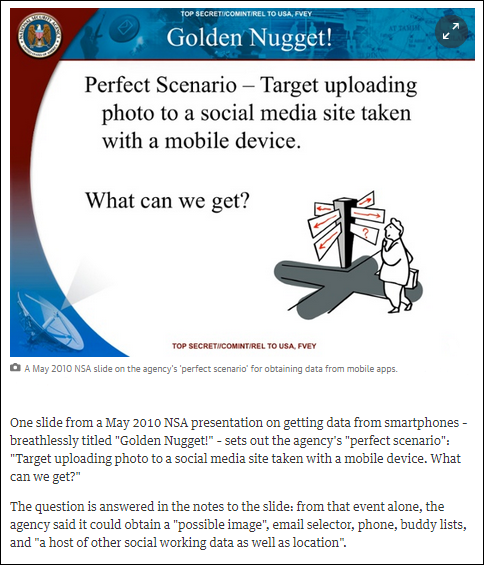 Dubbed "Irritant Horn" by the NSA, the agency planned to hack and hijack the connections to app stores and direct users to spyware. That spyware would collect data and send it back to the NSA without the user noticing. The newly-released document shows how the NSA and its partner agencies in the UK, Canada, Australia, and New Zealand, wanted to launch man-in-the-middle attacks, a process of tapping into the connection between a user and a server, to install the spyware implant. It's not the first time smartphones have been the target of an intelligence agency's surveillance. GCHQ, the British electronic eavesdropping agency, developed tools to target iPhones and Android devices. These tools, named after the children's television cartoon characters "The Smurfs," allowed the agency to determine a device's location with extreme accuracy, turn on devices when they were turned off, and to secretly activate a phone's microphone without the owner knowing. "House Votes to End NSA's Bulk Collection of Phone Data"
"Snowden Documents: NSA Sharing Americans' Personal info with Israel"
"Declassified Document: US Involved in 1958 Conclave Coup"